2, 4, 6, 8 - Camp Counselors We Appreciate! Just hours after dropping off her new camper at Camp Casco 2016, one mom shared: "Your team is so amazing. Taco and Moose really won my heart over, they walked us to the bunk house and they were both so kind and sweet and funny! [My son] was smiling the whole time." Get to know Camp Casco's Board Members! Our Board of Directors is a wonderful group of individuals who work tirelessly throughout the year to guide our organization. Each brings a unique perspective to our team that has helped us grow and improve in countless ways. Read on to meet each volunteer Board Member and learn about their incredible contributions to our team! We really "like" this committee! Our Marketing team has the huge responsibility of communicating everything going on in our organization to the general public - between fundraisers, new events, camp enrollment, amazing donations, and organizational growth, we keep them pretty busy! It's so important to us to communicate these updates to our network while staying true to our mission and our brand. We truly could not do this without the hard work of this incredible committee! Happy Voluntine's Month to our Special Events Committee! This outstanding group of volunteers really puts the FUN in the fundraising events we offer throughout the year. Their seamless teamwork is inspiring, uplifting, and sets the perfect tone for all of our events throughout the year. Meet The Family (Outreach Committee)! 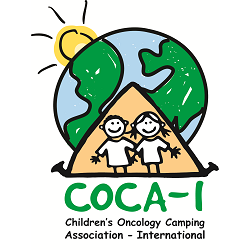 Our slogan - Fun for a Week, Support for Life - represents Camp Casco's commitment to not only provide an amazing week of camp each summer, but also to provide sources of emotional support for families affected by childhood cancer throughout the year. Between free family socials, clinic visits, information sessions, and finding opportunities to share, this team is constantly looking for new ways to support our camp families. Our Finance Committee warms our heart! On cold winter days like this, it's amazing individuals like our Finance Committee members who warm our heart. They work closely with every committee as well as our Board of Directors to ensure that every dollar we receive is put to the best use. From creating our annual and project budgets to tracking the generous gifts we receive throughout the year, this team plays such an essential role in our organization, we don't know what we would do without them! Happy Voluntine's Month to our Camp Planning team! As a younger organization, you can imagine how much it meant to us to learn that multiple campers refer to Camp Casco as "home." Imagine the safety, the comfort, the nurturing environment that a child must feel in order to associate any given place with the ideals of "home." This is what Camp Casco has created in just two years of camp, and it's thanks to the incredible efforts of our second Voluntine of the month, our amazingly talented Camp Planning team. Guess which committee we're granting our first Voluntine to! Is there any better time of the year than February to tell your loved ones how much you care? We absolutely adore our volunteers, who give so much of their time and energy throughout the year to make our organization possible. Last year, we declared February 11 “Voluntine’s Day” to highlight the amazing individuals who work tirelessly for Camp Casco. This year, we’re declaring February Voluntine’s MONTH!